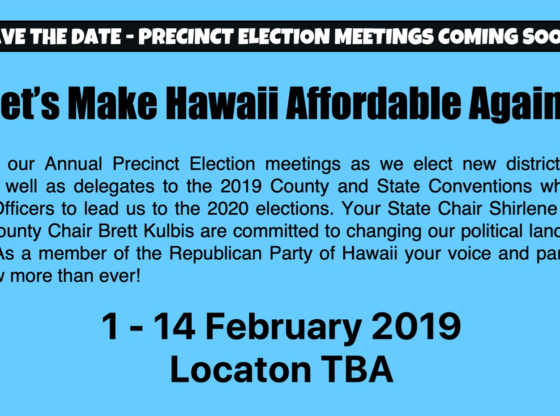 NEWS FLASH…“The Most Powerful Office In Hawaii Is NOT The Governor!” While the Governor of Hawaii is the most powerful man (or woman) in the state, being a district chairman (DC) can make huge difference in the way things are. 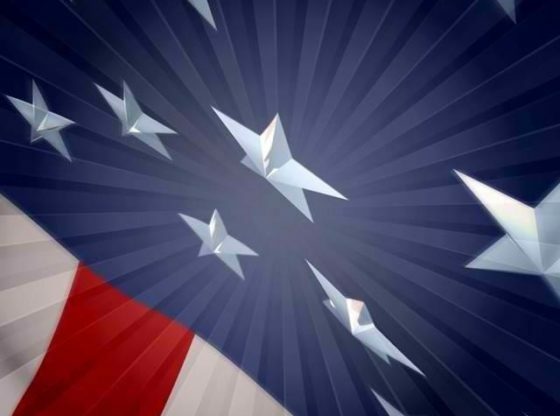 The DC is more powerful because they have direct influence on whose name will appear on the ballot for elective office and what will be the policies of the party while providing the major support for those candidates. Districts are geographical areas established by state law for election purposes. Although voting districts are the smallest political subdivision in Hawaii, they are in many ways the most important. 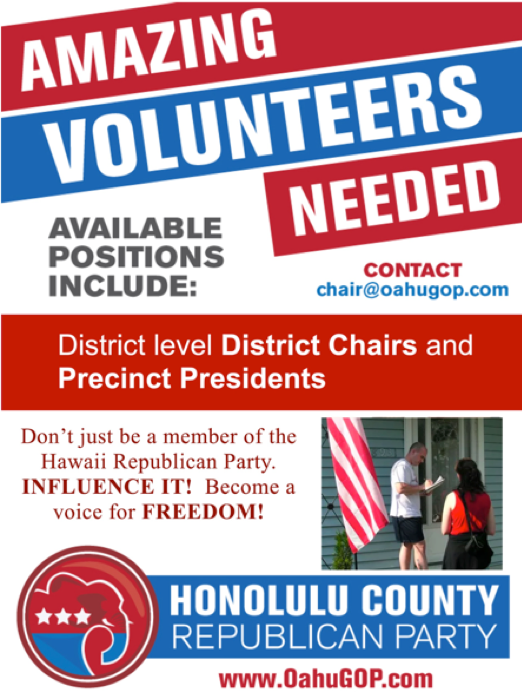 Each district in Hawaii is entitled to one (1) DC per Republican Party of Hawaii Rules. What is a District Chairman? Republican Party DC represent the Republican Party to the people. 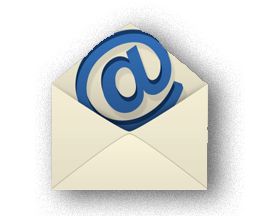 They are the primary contacts between their neighbors, candidates, and elected officials. It is their job to make sure Republicans in their districts are well informed and prepared to vote. A DC is the only Republican Party official directly elected by the Republican voters. DC are elected by voters in their voting districts every two years in odd years, but may also be appointed by the County Committee upon the recommendation of the Chair of the County Republican Party. Why Become a District Chairman? Being a DC means being the most direct contact point for fellow Republicans in your immediate neighborhood. A DC is the key person for information accumulation and dissemination within the District. DCs have a great deal of influence on the activities of our party. For example, only DCs are intimately involved in the operation of the party at the county and state level. 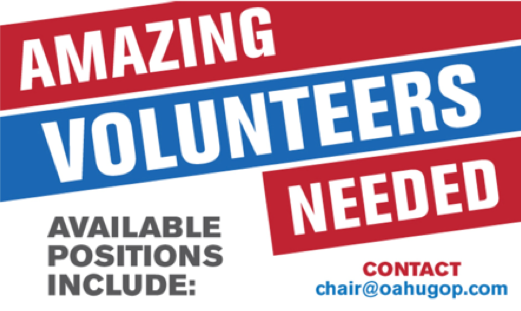 Numerous opportunities exist to meet party leaders, elected officials, and candidates. – Elect Republican candidates at all levels. – Promote an informed electorate through political education. – Foster loyalty to the Republican Party and its Platform. – Increase the effectiveness of Republican volunteers in the cause of good government through active political participation. – Assist in voter registration, GOTV and election day observations. 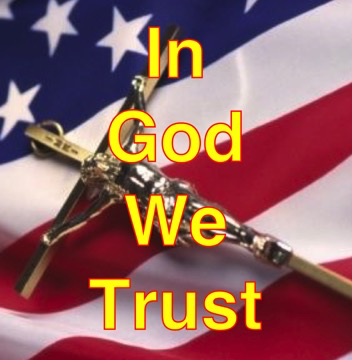 In God We Trust – Mazie Hirono vs. Ocasio-Cortez and the winner is Pelosi?